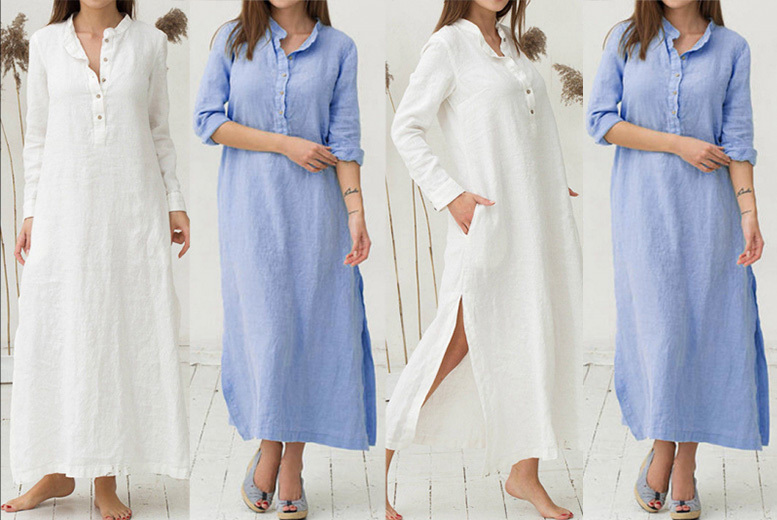 Get a brand new long sleeved shirt dress! In a floating, floor length design. Button down front with a grandad collar. Choose either white or blue. To fit UK sizes 12-16!